You may already know that acne breakouts are triggered when the oils produced by skin glands (called sebum) mix with dead cells and debris to plug skin pores. So, using oil as a remedy for acne may sound counter-intuitive! However, the fact is that you can get your acne problem under control when you use the right oil for the purpose. One such oil which is highly effective in controlling acne problems is Argan oil. This exotic oil is known to work miracles on acne-prone skin and reverse the damage caused by acne breakouts in the past. Consistent use of the oil on acne-prone skin will also restore and refresh skin without any of the side-effects associated with store-brought acne creams or lotions. So, read on to find out all about this miracle argan oil and its effectiveness in putting a full-stop to all your acne problems. 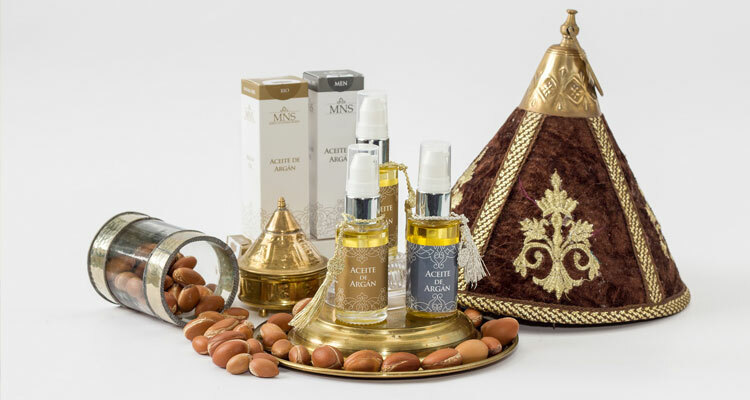 Argan oil is a natural plant oil extracted from the seeds of argan trees that grow in the woodlands of Morocco in North Africa. These trees produce fleshy oval-shaped fruits with thick skin and within their pulp is a nut that contains oil-rich argan kernels. Extracting argan oil from the kernels is a time-consuming and laborious task. First, the fruit is dried and then the pulp is manually or mechanically removed to expose the nut. The nuts are then cracked open by hand to release the oil-bearing kernels. Since there is no mechanical device that can perform this task properly, extraction of the kernels is a time-consuming and difficult task. Once the kernels are obtained, they are ground and pressed to release fresh argan oil. This oil is set aside to rest for several days till sediments settle at the bottom and clear oil appears at the top. Apart from being used as a cosmetic oil, argan oil is also extensively used in Moroccan cooking. However, the oil used for either purpose is different. Cosmetic argan oil is light golden in color and has a texture that is neither too thick nor too thin. It is easily absorbed by the skin and doesn’t leave a greasy shine. When it comes to providing skin-care benefits, not all oils are equal. Oleic acid : Argan oil contains oleic acid (Omega 9) that balances sebum production in the skin. By limiting the presence of oil in the skin, it controls acne breakouts and keeps the skin problem-free. Linoleic acid : Linoleic acid (Omega 6) in argan oil promotes healthy skin turnover. It also has excellent anti-inflammatory properties which helps with various discomforts caused by pimples, rashes and other painful skin conditions. Poly-phonols : Argan oil is rich in poly-phenols like catechins, caffeic acid and vanillic acid. These ingredients are non-irritating and promote natural exfoliation of skin cells, thereby controlling acne problems. Vitamin E : Argan oil is an excellent source of Vitamin E, which is a powerful anti-oxidant and skin hydrating agent. It effectively repairs damaged skin, promotes even skin tone and improves overall complexion. How Does Argan Oil Help With Acne Problems? Skin care experts suggest that naturally oily skin does not develop acne because of its composition. Instead, the culprit is usually the dry and damaged skin barrier that results from continuous use of acne products that are loaded with harsh chemicals. 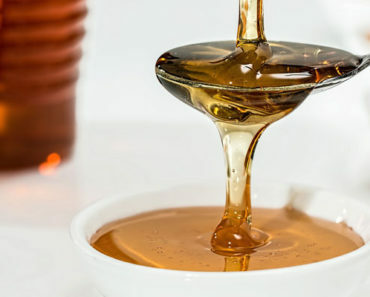 Store-brought acne remedies are notorious for stripping the skin of its natural oils. When they do this, your acne may seem to subside temporarily. However, your skin barrier will soon attempt to overcompensate the lack of oil by sending the sebum production glands into overdrive and producing more oil. This ultimately clogs pores and the result is a more severe and extensive acne breakout. Unaware of what is happening, you will continue to use such products, and this becomes a vicious cycle. Fortunately, argan oil can help to break this cycle! Argan oil produces the following effects in your skin and helps to control your acne problem once and for all. 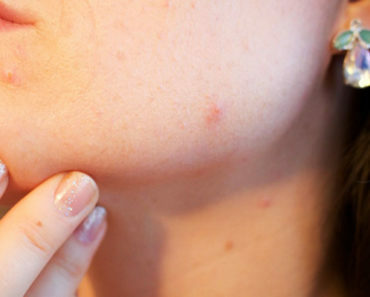 Acne-affected skin is irritated, swollen and painful to touch. Argan oil contains 35-40 per cent linoleic acid which has excellent anti-inflammatory properties. It soothes inflammation, reduces redness and swelling and makes the acne site look and feel better. The oleic acid in argan oil balances the natural sebum production by skin glands. Once oil production is under check, the skin’s natural permeability is enhanced. This allows acne-care ingredients to penetrate the skin effectively and produce more effective corrective action on acne-affected skin. The comedogenic rating of an oil is a useful factor to determine its effectiveness against acne. Oils with higher comedogenic ratings tend to block skin pores and trigger breakouts. Argan oil has a comedogenic rating of zero, which means it does not clog skin pores at all. Hence it is one of the safest oils to use on acne-prone skin. Your skin continuously sheds dead cells. Unless these dead cells are removed from the surface of your skin, it can clog the natural pores and trigger acne breakouts. Argan oil contains polyphenols that are natural exfoliants. They help to rid the skin of excessive debris, dirt and dead cells, thus allowing it to breathe and glow. Vitamin E, which is present in argan oil, is an excellent anti-oxidant and skin repair agent. When you apply argan oil on areas affected by acne scars, sun damage or other skin infections, it heals and repairs them. Natural anti-oxidants in argan oil promote skin repair, thus erasing scars and healing damaged skin to restore the original look. These ingredients hydrate the skin from within, promoting a fresher complexion. To reduce the occurrence of acne breakouts and reverse damage caused by existing acne marks and scars, you should use argan oil on a regular basis on your facial skin. Follow these steps to maximize the effectiveness of this natural product in treating acne. Wash the affected area well with a mild soap-free cleanser. Best results are obtained if the product is free from parabens, sulphates and other synthetic agents. Gently pat the area with a towel to get rid of excess moisture while leaving your skin slightly damp. Apply few drops of undiluted argan oil to the affected area and gently massage it into the skin surface. Leave it on for several minutes till it is fully absorbed. 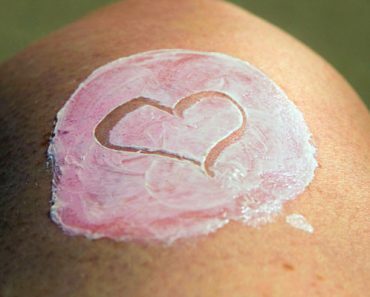 You can expect to see improvement in your skin condition in 4 weeks or less. Tip : You can also add few drops of argan oil to your regular moisturizer and apply it to your skin twice a day. Since argan oil is odor-free and not oily, it will blend easily and not create a sticky residue. Anyone who has suffered from an acne breakout will know that it is a persistent and unpredictable skin problem. Hence, you should stick with the same acne treatment continuously for several days to effectively control the condition and experience an improvement. Here are some important factors to keep in mind when using argan oil to treat acne. The results you obtain from this acne treatment will directly depend on the quality of argan oil chosen for the purpose. Best results are obtained with pure, unadulterated, organic argan oil. The freshness of the oil is also a contributing factor. This study suggests that cosmetic argan oil undergoes oxidation and loses its potent benefits within a year of being produced and bottled. So, check the manufacturing date and ensure that you use oil that is less than a year old for best results. Argan oil is of two types—that which is produced for cooking purposes and the other for cosmetic use. Make sure that you use the cosmetic variety, or you will not obtain the results you desire. Pure argan oil has a light golden color and nutty flavor that disappears when applied to skin. It is non-greasy and much lighter in color than the variant used in cooking. As with any other natural treatment, don’t expect to obtain results overnight. It can take several days or even weeks to observe visible improvement in your acne condition. Nonetheless, the wait is worth your time. Once the oil starts acting on your skin, not only will your acne be under control, you can also expect the general quality of your skin to improve. While argan oil can effectively help with acne problems, it cannot do the job alone. This natural product will yield positive results only when it is part of a good skin care routine which involves caring for your skin from inside as well as outside. Apart from applying argan oil to your skin, follow steps like having a balanced diet, getting enough sleep and drinking enough water. When you give your skin this healthy advantage, the effectiveness of argan oil treatment will be enhanced. 1. Moisturizes the skin : Argan oil is an excellent natural moisturizer. It is easily absorbed and can be used alone or in combination with your regular moisturizer to keep your skin hydrated and soft. 2. Anti-ageing solution : Argan oil is a rich source of anti-oxidants like Vitamin A and Vitamin E. Use it regularly to delay fine lines, wrinkles and other signs of ageing. 3. Heals and repairs damaged skin : Argan oil reverses signs of sun-damage and improves wound healing. It has good anti-microbial properties that help to treat bacterial and fungal skin infections. 4. Prevents stretch marks : By providing intense moisturization, argan oil helps to prevent stretch marks. Creams containing argan oil are a good solution for pregnant women who are prone to developing stretch marks as their pregnancy progresses. 5. Good for hair care : Argan oil is just as great for hair, as it is for skin. Use it to treat split ends, tame frizz and revive hair that is damaged by extensive heat and chemical treatments. The native women of Morocco have used argan oil for centuries as part of various skin and hair care treatments. 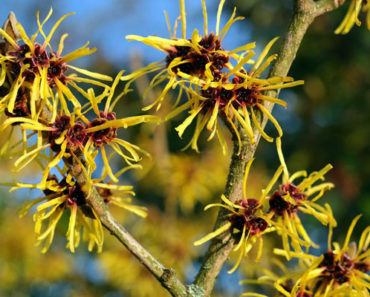 It rarely presents any side-effects and is quite safe to apply topically. It is also used as a cooking oil in a variety of Moroccan dishes and is generally safe for consumption. Nevertheless, argan oil may rarely trigger allergic reactions in some people. Be cautious when applying or consuming this oil, especially if you are known to develop allergies to tree nuts. If you are using it for the first time, limit the use to a small quantity. Test argan oil on a small patch of your skin and if there are no reactions, you can use it liberally. As an age-old remedy for a variety of skin problems including acne, argan oil is a safe and healthy natural product to add to your stock of skin-care essentials. 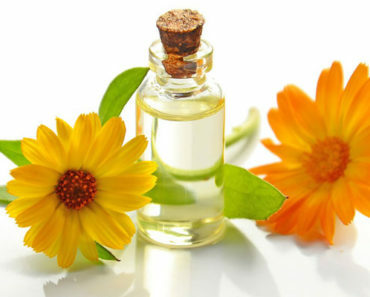 Free from the side-effects of commercially available acne-treatment creams and lotions, this natural oil is easy to use and effective in delivering results. Use it liberally and regularly to gain the upper hand over pesky acne breakouts. Apart from enjoying a permanent cure for acne, it won’t take you long to see the drastic difference it brings to your overall skin texture and complexion.